My Dad too young to be in the military was working for the construction company Morrison and Knudsen on Wake Island. When Wake was bombed the construction workers had a choice, fight with the military or hid in the bush. He wanted to participate. We were lucky he was one of the 700 who survived the brutality of the Japanese in a POW camp. He came home got married and had 3 children. My Dad was an amazing, unselfish man on all levels. He participated in his community, church, supported us in all are activities, he was a good husband, grandfather and provider. We lost him Feb. 28,2008. It is 2015 and we all still miss him. In my excitement I failed to mention my Dad’s name, his name was Alex Edward Polinsky. Sr. To honor him Alex Edward Polinsky llll was born 6 years ago. I am very sensitive to the attacks on Pearl Harbor, it saddens me most Americans have never heard of Wake Island. 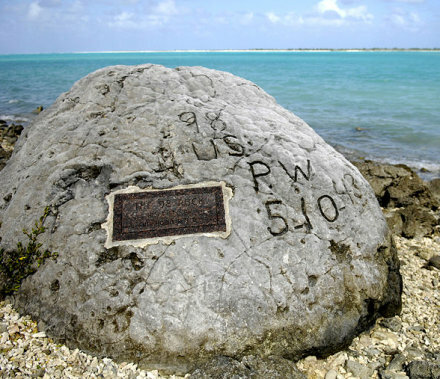 Every time I fly into Midway Airport and view the extensive memorial about Pearl Harbor it saddens me…Where is the memorial for Wake Island? Son, most younger Americans could not really describe WW2. They certainly couldn’t tell you when it began or ended. My Grandfather, Hollis Edwin Bledsoe was there, as a contractor, He I believe was sent to China then later Japan, as a P.O.W…. We just buried him in 2013, Chico,CA with honor’s. We flew into Wake Island..18 april l970..
the Wake Island Obelisk on the beach that day..
evacuate the troops…during December, l941. Surely the Navy had a ship in the area. I posted earlier here (Oct 2011) about the JPAC mission which is still ongoing, seeking family members of the men who died on Wake in WWII. I want to let readers know that my book on Wake Island is finally published: Building for War: The Epic Saga of the Civilian Contractors and Marines on Wake Island in World War II, Casemate Publishers. Please visit my website at http://www.bonitagilbert.com for book info, photos of Wake from my trip there last year, and blog posts. Stay strong, Wake Family! 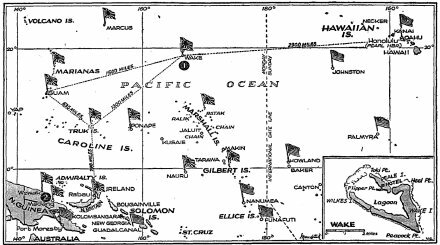 What was the reserve corsair squadron that came to wake Island at the end of the War? They were from Haveloock, NC. I do not believe they saw combat, but their mission was to protect while activated. Can anyone help me? I just recently located my grandfather Henry Gottlieb who was a civillian contractor on Wake. He is buried at Jefferson Barracks in St. Louis. I will be the first in my family to visit the grave and since I am probably the last it is very fitting for me to visit and pay my respects to a man I never knew. I knew very little of my fathers side of the family…big family secrets and all. All I was ever told was that he died in a Japanese POW camp. Only last year did it occur to me to search under his name and Wake Island and was amazed with what pulled up. I will be in St. Louis on Nov. 11, 2012 to honor the Grandfather I never knew and hopefully lay to rest decades of animosity and family infighting. Please don’t take family secrets to the grave. It makes it so difficult for those who remain to understand what happened. Someone has to offer the love and forgiveness and I guess that’s me…its time. I am waiting to hear from DNA for my uncle Lacy Franklin Tart. He was one of the 98.I am so thankful something is finialy being told after 70 years of searching. 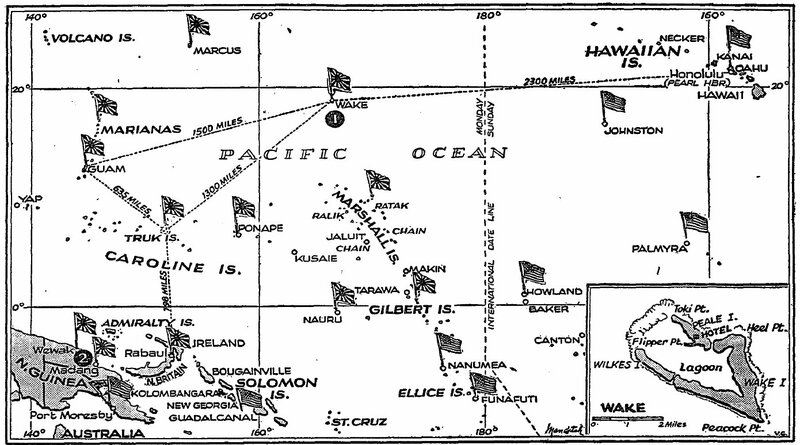 Some from Wake Island (via dying in Fukuoka Camp #1 as POW’s) were moved to St. Louis. A recent (spring 2011) discovery of skeletal remains on Wake has JPAC (Joint POW/MIA Accounting Command) seeking family members of the 98 and Wake war dead for DNA sampling. Family members of Wake deceased, please contact JPAC at http://www.jpac.pacom.mil. My father Ted Olson was also on Wake (survived) and I have done a lot of research on the civilian contractors. I’m aiding the JPAC effort to locate families, can also send the DNA kits, and have add’l info on the men. Just doing some research when I saw your post. My grandfather Reinhard Krueger was killed on Wake Island on December 20, 1941. He was there as an employee of Morrison Knudsen. My grandmother did not know too much about his death other than the date and where his remains are buried (in Hawaii). I would appreciate any information you can give me. Even though I never knew him, I love him and hope to meet him someday in Heaven. I just heard this story from a 90 year old Japanese man who was on the opposing forces of the Americans during that time. His story and how the author describes is exact. He was not on the Island during the execution of the 98 civilians, but arrived 3 months later and that after the war he was an interpreter at the tribunal on Guam. My grandfather was one of the 98 civilians executed on Wake Island. His name was Karl Cox from Asotin,Wa. Since my both my grandmother (his wife) and my mother Shirley (his daughter) are deceased it is hard to get any info on exactly where my grandfathers remains are buried. Any information concerning this or stories only about the 98 Civilian POWS murdered on Wake Island would helpful with my research. These men faced the horrible and inhumane treatment that was given to them day after day until they were brutally executed will forever remain HEROS to me and will never be forgotten. My grandfather was a heavy equipment operator and was prisoner during the whole wwar. My father said grandpa wouldn’t talk about it when he came home. The only thing I have is a newpapers article showing a pic of grandpa and grandma after he returned and the Western Union telegram from an uncle to another uncle saying he’s alive in Jap prison camp and is headed home. Uncle Bill was a “cat skinner” for MLK on Wake, and was also sent to Japan! He survived but was a mess, weak and sick for a good long time! How does one find a certain BLUE BOOK that has this info? TO THE RELATIVES TRYING TO RESEARCH DECEASED LOVE ONES, I WOULD RECOMMEND LOOKING UP SOME OF THE P.O.W. SITES ON THE INTERNET, STARTING WITH THE 1ST DEFENSE BATTALION, USMC. THE BULK OF CIVILIAN CONTRACTORS WENT WITH THE MARINES TO POW CAMPS IN CHINA, AND THEN LATER IN THE WAR, JAPAN AND KOREA. I RECALL ONE WEBSITE CALLED “DOGBERRY PATCH” WHICH HAS THE WAKE CIVILIAN POW ACCOUNTS. ALSO, THE IDAHO HISTORICAL SOCIETY (MORRISON-KNUDSEN WAS BOISE BASED) HAS MATERIAL AS WELL. GENERALLY, ONE WEB SITE LEADS YOU TO ANOTHER. I WISH YOU ALL LUCK. TO THOSE RELATIVES WHO HAVE DECEASED FAMILY BURIED AT THE WAKE MEMORIAL SITE AT THE PUNCHBOWL (HAWAII), A QUESTION; DO THE FAMILIES HAVE ANY HISTORICAL DOCUMENTATION FROM THE U.S. GOVERNMENT INDICATING HOW THEY IDENTIFIED THEIR LOVED ONES REMAINS? I AM RETIRED MILITARY AND AM ATTEMPTING TO ACCOUNT FOR 8 INDIVIDUALS WHO, I BELIEVE, WERE NOT EXHUMED ON WAKE, AND REPATRIATED TO HAWAII POST WAR. ANY GENERIC INFORMATION YOU HAVE WOULD BE APPRECIATED. I am trying to find information about my grandmother’s brother, Raymond Mathiasen, who died 8/9 /43. He was a civilian contractor on Wake. Raymond was reburied In the Punchbowl on Oahu, HI. My father Ira Hawkins Boothe was one of the 1400 contractors on Wake Island during the Japanese invasion. He died on April 13, l943. I have no history of where he died or how. Was he a prisoner of war until that date.? He is now buried at the Punchbowl in Honolulu. I have no history on him because I was only 6 when this happened. Any infomation would be appreciated. His homtown was Romulus, Alabama. He was only 28 when he died. Please inform me if you are able to find any information where he was killed. My Step Grandfather Martin T Kelly was one of Forgotten 98″. He worked for Morrison & Knudsen and went over to Wake Island the summer of 1941. I remember when we received a telegram in Portland in 1946 that he was killed. My Grandmother was invited to attend the Memorial Services at Punchbowl Nat’ Cemetary in 1953 but was unable to attend. She received, thanks to Sen Morris, a “Widows Pension” . He was much loved by my Father and Grandmother. My father, Richard C. John, was one of the civilian workers on Wake Island who survived the POW camps. After the war he returned home to his family. He died in 1998. He went with his friend, Martin Kelly, who was unfortunately one of the 98 killed in 1943. (Both were from Roseburg, Oregon). I was born after the war but remember Martin’s wife. I believe her name was Marie. I am thankful for your family that your grandfather returned home, my grandfather was one of the unfortunate ones who died there. The search for answers has been an ongoing undertaking by a large portion of our family. my grandfather was there, he was taken to a slave labor camp in shanghai, when he returned after the war he could barely walk, by the severity of the starvation which was imposed on him. ive heard stories of it, i just wish that more people would realise how the government treats its own people, they sent no force to rescue them, they left them for dead.